WSET Awards is the division of the Wine & Spirit Education Trust responsible for the creation, processing and quality assurance of assessments leading to WSET qualifications. It is recognised as an awarding organisation by Ofqual, the English regulator for qualifications and examinations. The Qualifications team designs qualification specifications and is responsible for assessment format and content at all levels. The team also marks, verifies and moderates WSET assessments. The Assessments team is responsible for the processing of examination orders, the issuing of results and the dispatch of our assessments and certificates to Approved Programme Providers (APPs) around the world. The Quality Assurance team manages our centre approval process and is responsible for compliance and quality assurance, supporting our APPs in the delivery of WSET programmes. The WSET Awards management team is led by Director Matthew Forster MW. For further information about WSET Awards, please contact awards@wsetglobal.com. WSET Awards operates a range of policies for the benefit of learners, covering: Diversity and Equality, Malpractice and Maladministration, Reasonable Adjustments, Complaints and Appeals, Privacy and Special Consideration. 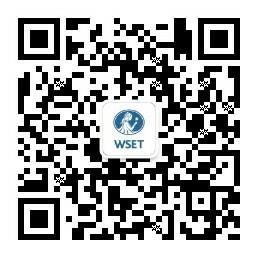 Please contact WSET Awards or your APP for further information.